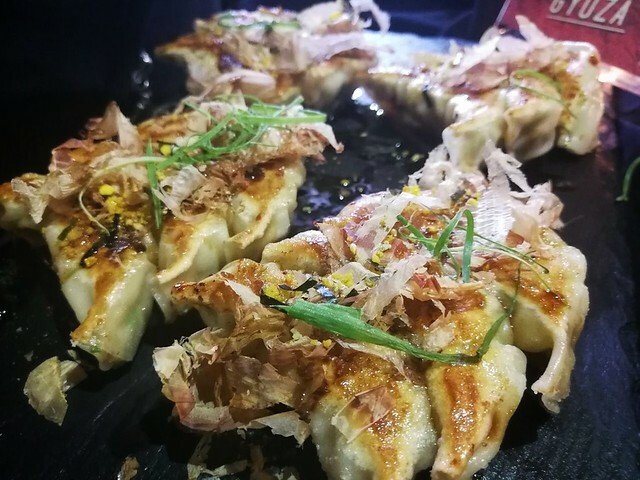 Osaka Ohsho – “The King of Gyoza in Osaka” is a Japanese chain established in 1969 with branches in Japan, Singapore, Thailand, Hong Kong, Shanghai, Korea and just this year, celebrating their 3rd year here in the Philippines. 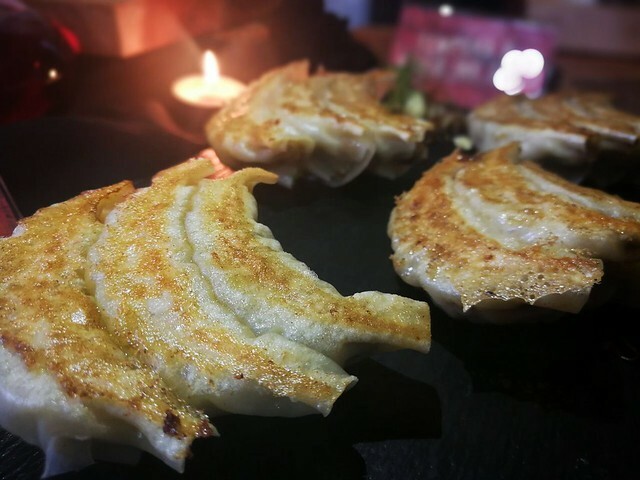 We have been exposed to several Japanese restaurants, but what makes Osaka Ohsho different? 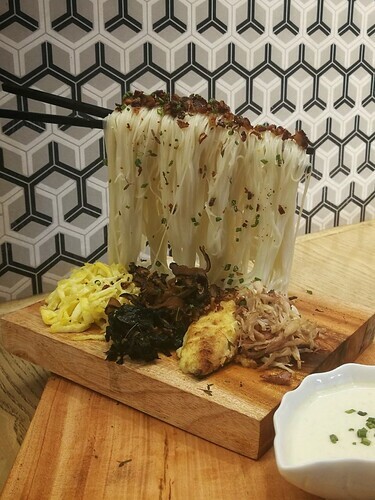 Last December 11, food bloggers were invited to Osaka Ohsho’s SM Megamall branch and was taken to a different “high” by their Flying Noodles. 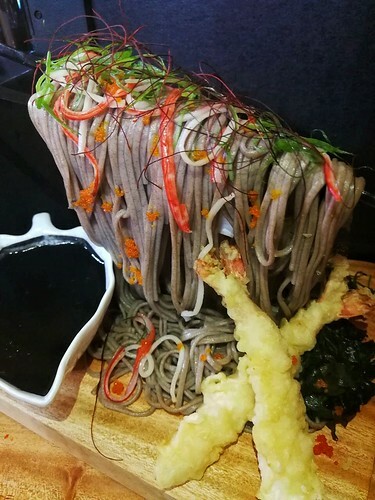 Consists of Green Cha Soba, Chicken Teriyaki, Enoki Tempura and Tonkotsu Sauce. 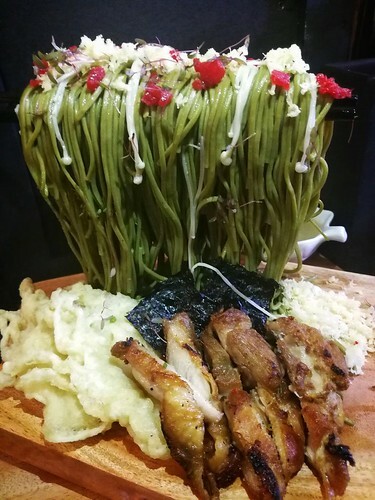 Can you just imagine what it tastes like for a matcha flavored noodle? Guess what, it may look weird, but this one would be perfect for green tea/matcha lovers. 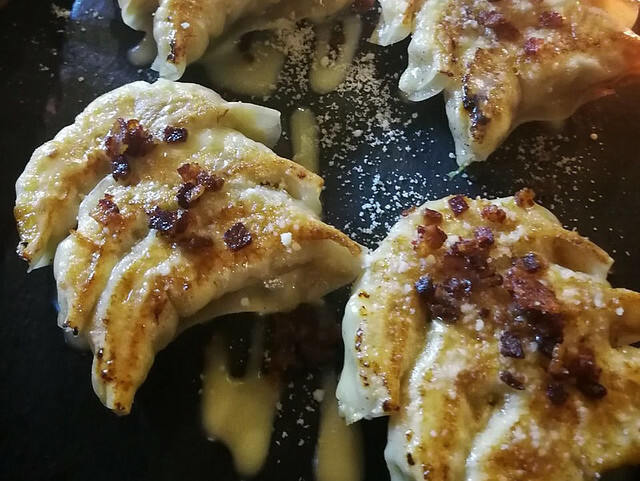 Osaka Ohsho isn’t only translated as “The King of Gyoza” for nothing because aside from their unique flying noodles they also serve one of the best gyozas we’ve tasted so far. This one’s our favorite; bacon bits, cheese and lean ground pork meat. This one includes mushrooms, truffle oil, scallions, nori sheets, white sesame seeds and parmesan cheese. 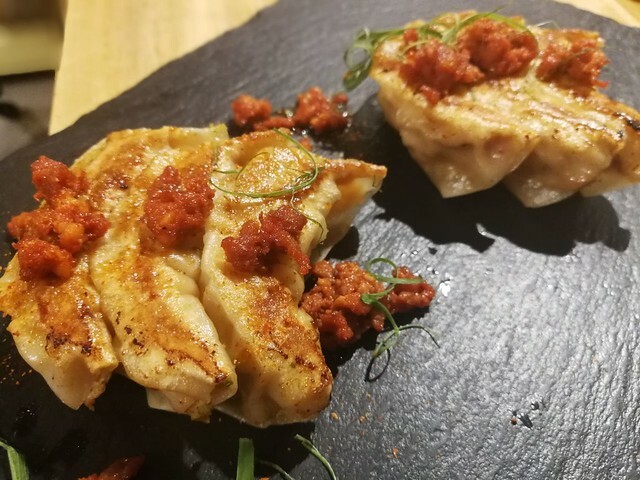 If you’re a chorizo lover, then you’ve definitely found your gyoza match in Osaka Ohsho’s Chori Gyoza.